Too few of us can realize the dream of touring the U.S. in support of a major release, but such was the case when Wrabit took to the stage powered by Jeff Steck on drums. 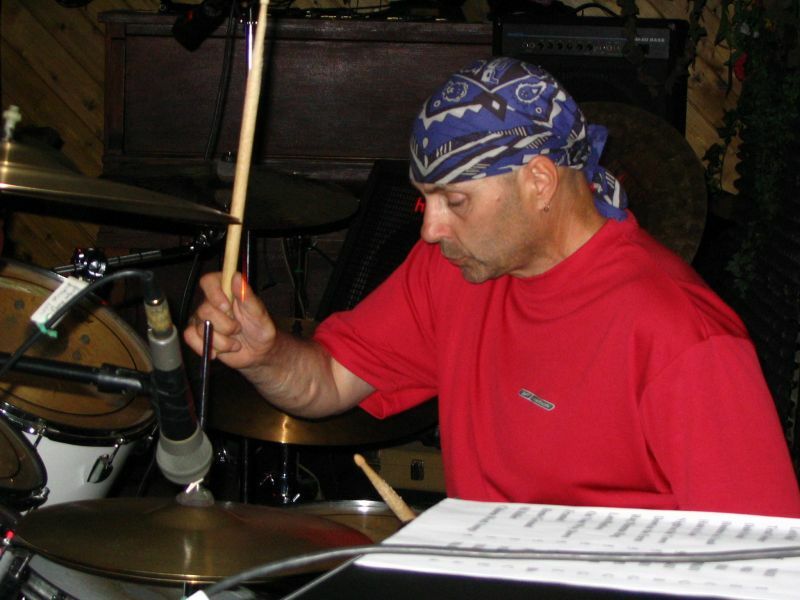 Background: Jeff prefers to let his drums speak for him but after some coaxing writes "I started out 37 years ago, playing with Bathtub Ring, Chucklebait and Flyer in the Ottawa area. 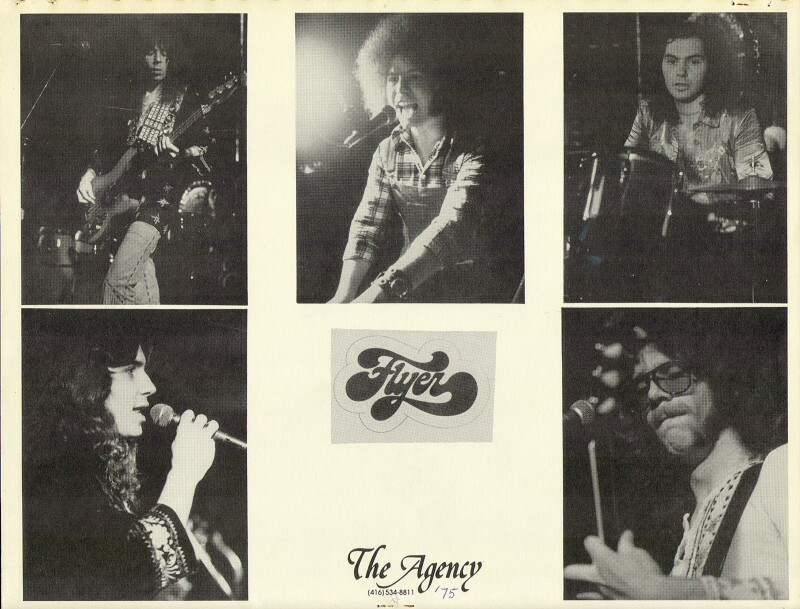 I joined Telemann in December '77 after the band had relocated to Toronto. Work was sometimes pretty scarce so in between gigs I did some session work to keep up my chops". Telemann's popularity grew over the next 2 years and a hard earned recording contract was secured in 1980. It was then that the band changed its name to Wrabit. The Band: I've known Andy for 33 years and we jammed Grand Funk tunes as teenagers. Later I moved to Toronto where I lived with Barry for a while. I had originally turned down a request to join Feat First as percussionist several years ago. When I got another call, this time to be the drummer, the timing was right. Prior to joining "Feat First" I had never really listened to Little Feat and I had been out of the business for about 15 years, but the itch to play drums never went away. 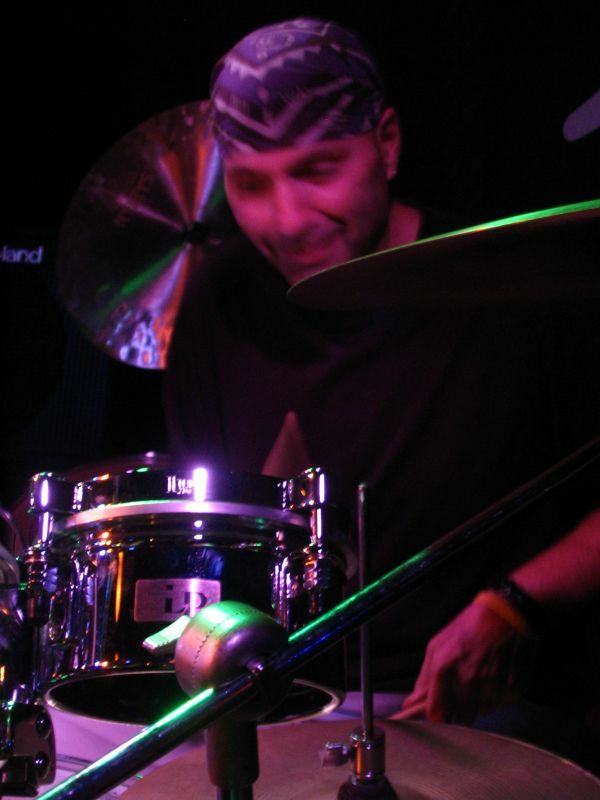 Influences: I have had many influences over the years, but my short list of main influences would have to include Ian Paice (Deep Purple), Bill Bruford (Yes), Danny Seraphine (Chicago) and the late Jeff Porcaro (Toto). Drum Kit: "I still play a 1980 arctic white Ludwig Power Tom kit because I like the way they sound. The band teases that my drums still have the original heads on them." 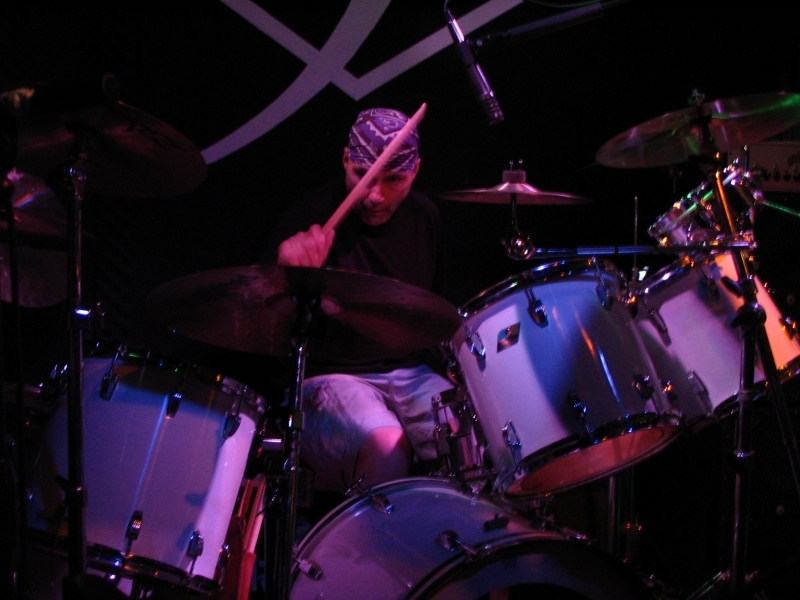 Jeff is capable of giving his drum kit a brutal workout, but plays with finesse when it's called for. 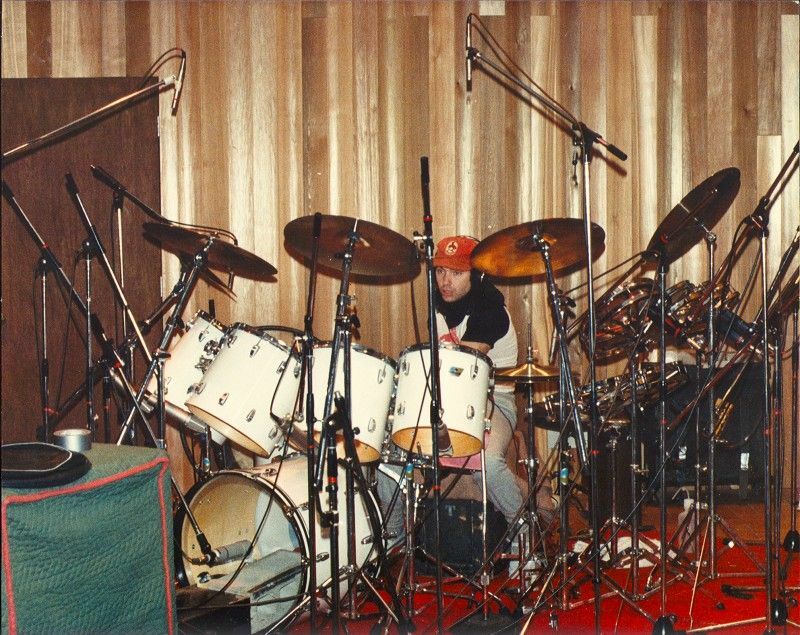 In the studio picture of Jeff's kit to the left, despite a cinder block inside and the BGW amp and Marshall cabinet in front, his bass drum still managed to move around the drum booth floor. 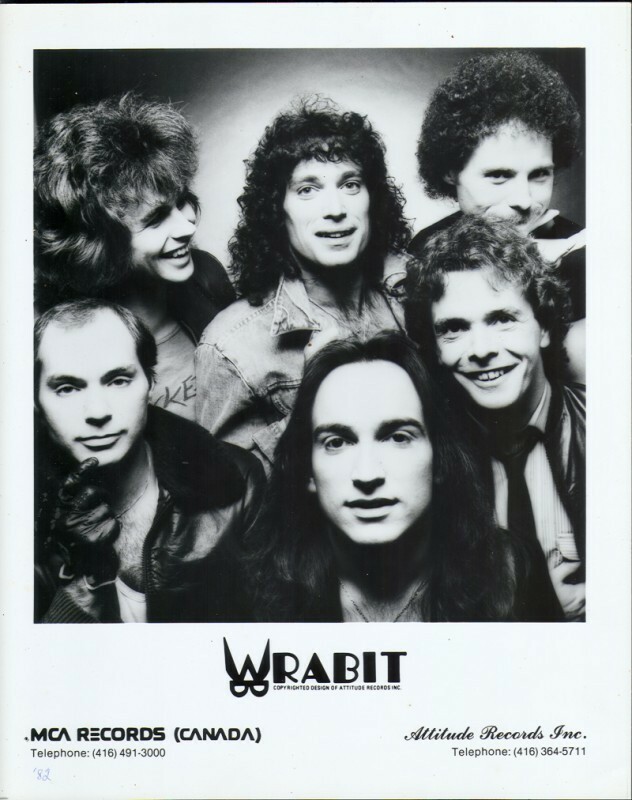 Wrabit: "The Wrabit album was recorded in 1980 with Lou Nadeau on vocals, John Albani and Dave Aplin on guitars, Dave Kirby on keyboards, Ron Smith on bass and myself on drums. Bugs Bunny artist Chuck Jones designed the band logo. We started recording on December 8th which was the day that John Lennon was assassinated. This recording was released internationally as "Wrough & Wready". In support of the release we toured with Black Sabbath and Triumph. The CD is still available as a very pricey Japanese import." 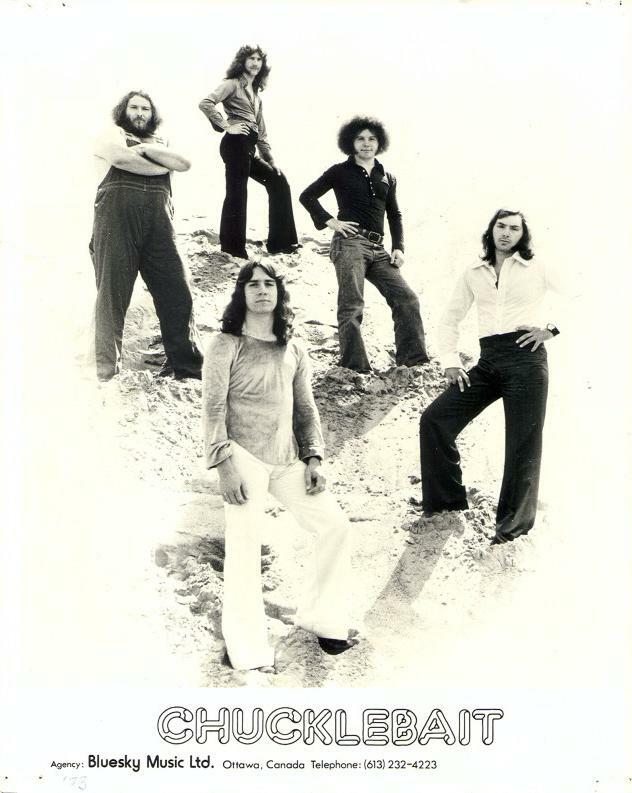 The Sabbath Tour: "My first experience opening for a big name act was with Chucklebait who opened for Alice Cooper. Several years later (1982) Wrabit was the opening act for Black Sabbath on "The Mob Rules" tour. We played Canadian dates in Kitchener, Sudbury and Quebec City and toured across the United States to perform in New Haven, Baltimore, Boston, Detroit, Dayton, Saginaw, Louisville, Madison, Minneapolis, Cedar Rapids, Springfield, Omaha, Witchita and Kansas City." Click the tour pass on the left to see Ronnie James Dio positively dwarfed by Jeff.